Here’s one more cool creation seen at CES 2016. 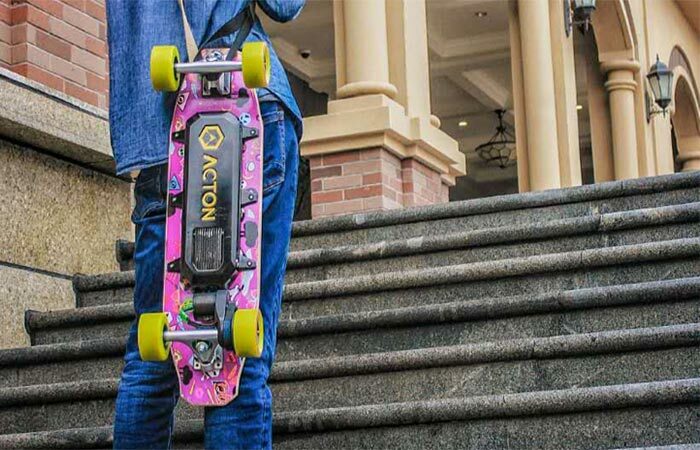 Acton, the company behind RocketSkates, now introduced a small electric skateboard called Blink-Board. With just 26.5 inches in length, it’s smaller than normal sized boards and can be controlled via smartphone. The board is made from Canadian maple and patterns can be customized. Taking in consideration the size of this board, the biggest advantage is the weight, since it’s just 9 pounds. Blink-Board has a 1500W motor that can develop the maximum speed of 12 mph. 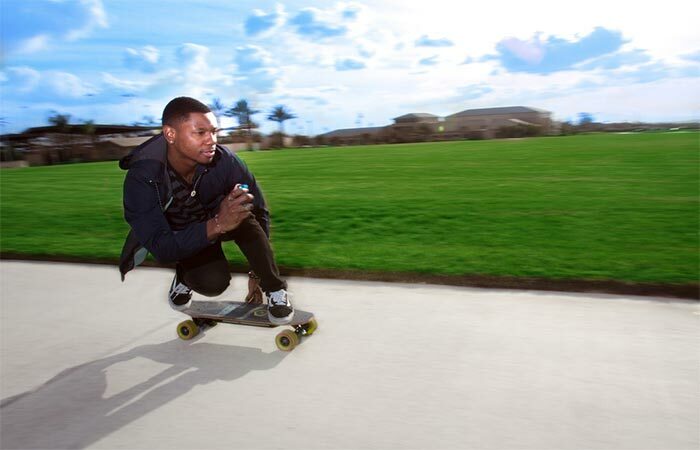 Blink-Board weighs just 9 pounds and has the maximum speed of 12 mph. The battery is very important when getting an electric skateboard. Blink-Board takes two hours to charge and it has a range of 6.5 miles. When you turn on the board, you also turn on the light that’s located under it. Just like most electric skateboards, this one can be controlled by a Bluetooth remote that’s very simple to use. It takes Blink-Board two hours to recharge and you can use both the remote and a smartphone to control it. You can choose between two-speed modes, a Beginner and an Expert, for going slow or fast. When you slide the button forward, it will accelerate, and if you slide it backwards, it’ll start braking. There’s one more cool thing about the remote. If you press that same button, Blink-Board will go in reverse. Blink-Board has two-speed modes and can even go in reverse. The real innovation is using a smartphone to control it. You can connect the board to the smartphone using Bluetooth. This means you can leave the controller behind and use just an App to ride it. The App will also record riding routes, keep track of the battery and connect you to Blink-Board riding community. Blink-Board will start selling at the end of January and the price will go around $500, but it’s still to be confirmed. Check out this video to see Blink-Board in action.